Shopping in IKEA can be a fun and exciting adventure for the entire family. Start with a delightful meal in the restaurant. Drop the little ones off for one hour of free babysitting and fun in IKEA’s play area and then head out for a shopping adventure following the arrows through IKEA’s wonderful showroom and self serve space. Walking around the store provides many innovative design ideas for every space in the abode. Before venturing out you might want to plan your space for particular needs and wants with a floor plan. 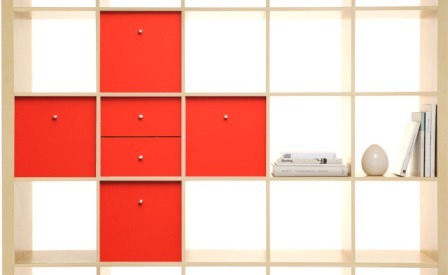 With a choice from 34 colors and patterns you can easily customize IKEA furnishings to complement any décor. 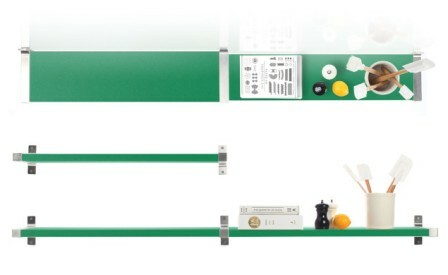 “Combine the EKBY JÄRPEN shelf, the EKBY BJÄRNUM bracket and PANYL to create a modern wall shelf in virtually any color. Customizeikea.com is exactly what it infers. 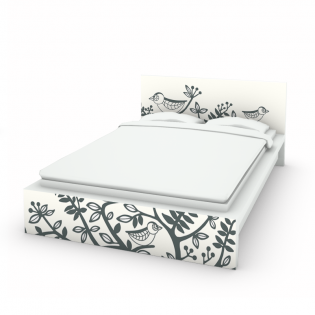 Purchase wonderful high quality Art Decals for IKEA furniture and Overlays for IKEA furniture that will transform your IKEA finds into a unique artistic statement. 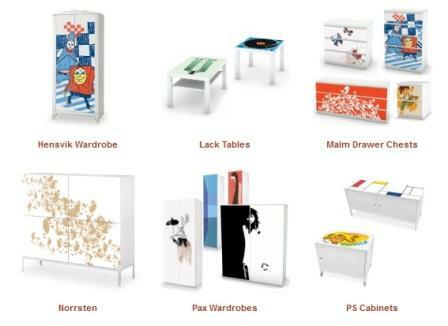 mykea allows visitors to select their IKEA furniture piece, and then choose a design to redesign the furniture to custom fit into the abode’s décor. They have picked the most popular IKEA furniture to create easy peel off decals for. If your IKEA furniture piece is not in mykea, you can let them know by sending a furniture request. To complement your IKEA furnishings mykea also offers decals to decorate the walls. This site is unique in that it continuously invites new artists to create and submit designs and actually have a chance to make money as a working artist. IKEA has many levels of furnishing qualities depending on what price one is willing to spend. Their items require assembly which results in huge savings to the consumer. Compare their furniture to similar assembled pieces in the better stores and the savings are remarkable. As long as the furniture is assembled properly you will have a wonderful and stable piece that your guests will think you purchased at a designer store. Check out the IKEA catalog for décor ideas and inspiration. The catalog makes for fun bedtime or beach reading. Have fun creating and never be afraid to dance! Show me your support and subscribe to this blog, sign in under email subscription at the top of the column on the blog’s right side. Subscribe and enjoy reading all of my articles under the titles of Interior Decorating, Long Island Interior Design,Decorating, Arts & Exhibits, Lifestyle, as well as General Pets, Fashion Trends, and Long Island Prepper written for Examiner.com. Visit weberlifedesign.com for further inspired professional design and lifestyle advice!